As a recruitment specialist in Compliance, I count myself lucky to work with so many great people on a daily basis. Yes, I have great colleagues but I’m also fortunate to be in a role where I get to assist people. It’s highly rewarding to work with talented people towards their next career move and help our clients add to their skills as well as build on their culture. It’s important to note that we’re working towards both skills and culture. We understand, distinguish and evaluate skills fit and cultural fit separately through our recruitment processes. Quite often (we observe) that the former takes precedence over the latter. Culture is not overlooked necessarily but in the early screening stages skills are the primary qualifier for progression. We have to be realistic and not suggest that people without the skills/experience in a specialised space can go in hitting the ground running. I mean to highlight that a skills gap can be closed whereas a Cultural/Attitude gap cannot. At least not without significantly more time, resources and potential damage to the broader company culture. It’s particularly timely to be considering this. The regulatory environment is draining on companies’ resources. With Brexit on the Horizon there looks to be no respite any time soon. This has created a skills gap across the compliance recruitment market. While this is a generalisation and it differs between industry and specialisation it remains broadly true of the profession as a whole. The need to hire people based on cultural fit has always been of paramount importance. Now though there is an opportunity to investigate this at the earlier stages of the recruitment process. Drawing on a broader talent pool to fill key positions. The proposition here is that culture and attitude should be elevated to at least the same level as skills/experience in the early stages of the recruitment process. The immediate challenge that comes to mind is the time constraints involved in broadening this search. With that in mind I’d like to share some of the methods we use to reveal high performers and attitude type here at Engage People. 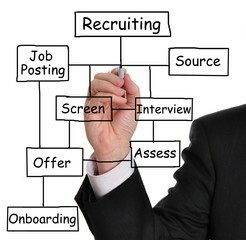 In broad terms we can say that the Job Advertisement (Job Ad) is a marketing tool. This helps attract the best people to our company. By comparison a Job Specification (Job Spec) is an information document about a role. Typically, the Job Spec will contain more detail about the role whereas the Job Ad should be easy to read and inspiring to the candidate pool you are targeting. 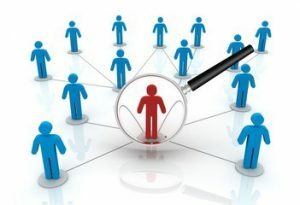 An issue that can arise with making a highly attractive Job Ad is that it receives high levels of applications, which then must be sorted and screened. 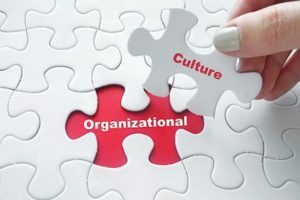 What we want to achieve here is to attract those who would be a cultural fit while reducing those applications that are less aligned to the company values. One way we can look to reduce our poor cultural fit applications is by illustrating what our values and what high performance looks like. We must also express openly what performance and attitude does will not fit. So, if we’re talking about a role where attention to detail is important. We as a company can share in the Job Ad that a good fit will be diligent, conscientious, focused people who take ownership of their work. 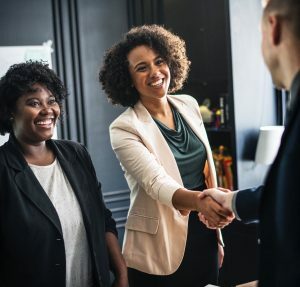 The right person will benefit from opportunities to progress from world-class in-house training with a company that has a track record of promoting from within. We can equally say that if you are someone who enjoys sharing responsibilities, taking time to discuss ideas and working creatively, then this won’t be the role for you. In doing this, we’re discouraging applications from those who are potentially a poor fit and consequently poor performers. This is not to say that these people would not be high performers in the right environment. Simply that they are not right for the company culture. What’s more, we’re giving the prospective candidate the opportunity to screen themselves. In turn reducing the workload for your team and increasing the prospective candidate’s influence on the process. When we invest in a process, we’re always keen to achieve positive outcomes. In achieving this we have to balance the time and effort it takes to find the right person against the need and urgency in filling the position. In an interview setting, we also have to balance the need for making sure we are clear and the questions are understood in contrast to the need not to lead the interviewee. It is easy to see how an interviewer could inadvertently lead the interviewee in such a setting. Offering unnecessary clarification and ultimately encouraging biased answers. A common and potentially revealing interview question might be “Tell me about a time you were in a difficult situation.” A likely honest and revealing answer should come out of this. The problem arises when we get silence in response. The temptation is to elaborate on the type of answer we want and guide those who are potentially a poor fit into giving a good answer. If we filled that silence ourselves, we might say “Tell me about a time you were in a difficult situation…… and how you resolved it.” Straight away we’re telling the candidate the answer we are looking for and devalued the response. Maybe the candidate had a problem that wasn’t resolved or was resolved by someone else. If we can glean that information from an answer, it would be very helpful in our assessment. We don’t want to add to interview questions and devalue responses. The above example and others like it investigate behavior and character and are ways we can reveal high performing individuals. In a market where we have a skills shortage, we are potentially richer in attitude than we have taken the time to see. Some of the best feedback I have received in recent times has come from clients that made hires from people with experience outside the scope of the Job Spec. People now in compliance roles that were previously product managers, teachers and compliance people outside of the Financial Services space. Taking time to reveal someone’s attitude and sticking to the criteria for doing so will save time and help secure the very best people for our teams. Michael Gorman is a Financial Services Career Specialist with Engage People with specific focus on Risk and Compliance.